You’ll have pleasant dreams on this Breaking Dawn Part 2 microfiber pillow case! 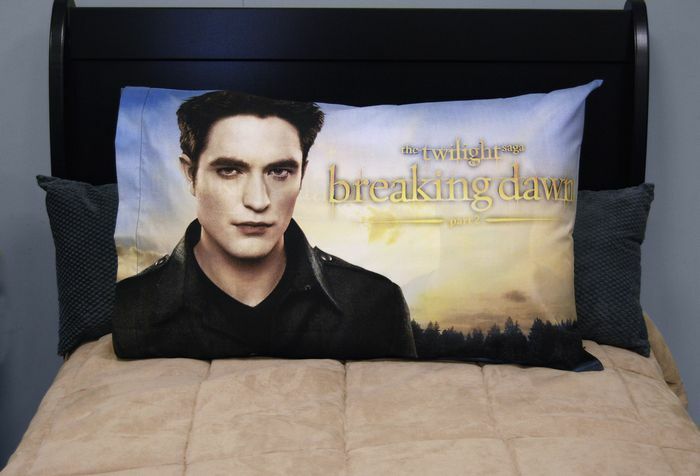 It features an up-close-and-personal shot of Edward on both sides, and fits standard size pillows. Includes one 20×30″ pillow case made of machine washable polyester.